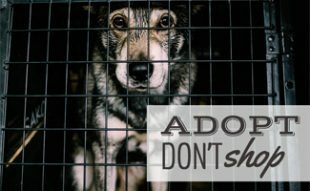 Today’s guest post is written by Matt Bershadker, President and CEO of the American Society for the Prevention of Cruelty to Animals (ASPCA), which celebrates its 150th Birthday this year. 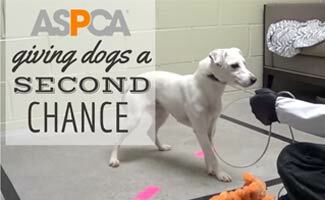 For this big ASPCA anniversary, the organization will be releasing a documentary called Second Chance Dogs Fall 2016. The film follows several dogs rescued and treated at the ASPCA Behavioral Rehabilitation Center. 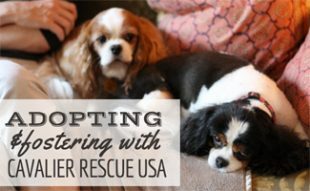 For dogs rescued from puppy mills, hoarding cases, dog fighting rings, and other neglect and abuse situations, the journey to safety and adoption can be much more difficult than it is for the millions of animals entering shelters nationwide every year. While we can resolve almost every medical condition exhibited by canine cruelty victims, their inner scars are harder to both see and heal. Most victims of animal cruelty have spent their lives isolated from the outside world in crowded, unsanitary conditions, rendering them extremely fearful. Many never learned to socialize with people, and are often terrified by everyday sights, sounds, and experiences. The feel of a leash, a gentle stroke, or even the approach of a person can cause extreme anxiety and intense responses. Some dogs cower and shut down or become completely catatonic, unable to function because they’re so overwhelmed. Others panic, scrambling to hide under objects, trying to flee, thrashing around when they feel a leash around their necks, or even resorting to biting as they desperately attempt escape. Traumatized by their experiences, these animals often can’t function appropriately as companion animals. Their quality of life is very poor, and their outcome is grim. Unable to be adopted, many languish in shelters or face euthanasia. But groundbreaking approaches in dog rehabilitation are giving rescuers new hope, and even more importantly, victimized dogs a second chance. That’s the idea behind the ASPCA Behavioral Rehabilitation Center at St. Hubert’s Animal Welfare Center in New Jersey, where our team of experts uses scientifically-based behavior modification techniques to help severely undersocialized dogs overcome their fears. 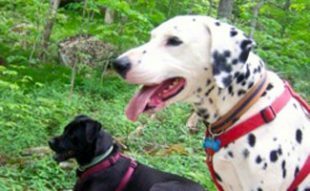 This approach includes roughly 35 treatment protocols designed to gradually reduce the dogs’ anxiety in three areas: socializing with people, handling, and leash walking. We also use friendly, confident “helper dogs” during all treatment sessions to accelerate rehabilitation. One dog accepted into our Rehab Center program was a terrier mix named Coconut. In May 2013, Coconut was rescued from a puppy mill in Michigan where she was found caked in mud, trying to flee, and refusing to be touched. But after six weeks of intensive treatment for fear and anxiety at the Behavioral Rehabilitation Center, Coconut’s fear subsided as her trust increased. When Coconut “graduated” from our program, she’d learned to love going on walks, relish a good scratch, make new friends, and explore new places. Last January, after transfer to the Monmouth County SPCA for adoption, she found a safe and loving home with a retired couple and is thriving there. Watch this short video to discover how Coconut transitioned from being a nervous, unsociable dog into a loving, adoptable pet in just a few short weeks. Her inspiring story reminds us that all living beings are capable of love, sometimes it just takes a little more patience and time to build trust. 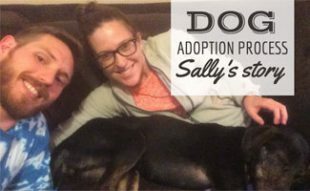 Every dog’s journey is different, but the end goal is to undo the psychological impact of neglect and abuse, improving qualities of life and making adoption possible. With time and the benefit of behavioral training, the majority of the dogs who’ve entered our Rehab Center program have overcome their once-crippling fears and become the loving, happy dogs they were meant to be before their loyalties were betrayed and their spirits were broken. Due to the success of our program in New Jersey, the ASPCA has decided to build a permanent Behavioral Rehabilitation Center in Asheville, North Carolina, scheduled to open in 2017. The expanded Center will not only enable us to help more animals but will also allow us to launch new and exciting initiatives. Our facility design includes a dormitory and several teaching spaces for staff from shelters and rescue groups the country to come and learn about best practices and effective rehabilitative approaches. We’ll design structured programs for them to implement at their home facilities, provide continual guidance, and learn from their progress. This work is as much a movement as it is a practice. When shelters, rescuers, and communities commit themselves to rehabilitating animals in need, we will maximize our ability to save lives, reimagine what’s possible, and hopefully turn hundreds of success stories into thousands. Thank you, Matt, for taking the time to share more about ASPCA’s Behavioral Rehabilitation Centers. Thanks as well for all the great work your organization is doing to enhance the lives of abandoned, misunderstood and abused animals. Click here to search for a local shelter and to learn more about how you can rescue a new furry family member. Have you adopted an ASPCA pet? Tell us about your experience below. Great stories, great article, love to read it. I’m just wondering is APSCA rehabilitation open to all? It’s a good program, especially if a person has some issue with their dog’s behavior problem and do not know what training they should do for their dogs, rehabilitation is the best way to correct dog behavior. Matt, thanks again for taking the time to share more info about ASPCA’s rehab center and all the great work your staff is doing to help dogs in need of a second chance!